Just yesterday I had written about the HTC Mini+ being available on the UK portal Clove and today Clove has listed HTC Fetch for pre-order. Well HTC Mini+ may not be useful for many of the readers but HTC Fetch BL A100 Navigation Tag is not only useful it may actually turn out to be a necessity in the long run. Why I am saying long run is because the price tag of £29.99 ($38.33/Rs.2360.00) looks extremely prohibitive for this nice piece of engineering. With time and economies of scale, this product may emerge as the next big thing to keep your valuables safe. Why am I praising it? It is because often in our harrowing day, we are in habit of losing things. If we lose some minor objects its no problem, but what if we loose a valuable item like your travel bag, mobile phone, jewellery, car keys (you can get this duplicated). Believe me, this can cause a serious heart burn. Imagine you are travelling to some place and your hand bag contains some jewellery and money. You have to simply attach the HTC Fetch BL A100 Navigation Tag to the hand bag and sleep peacefully. 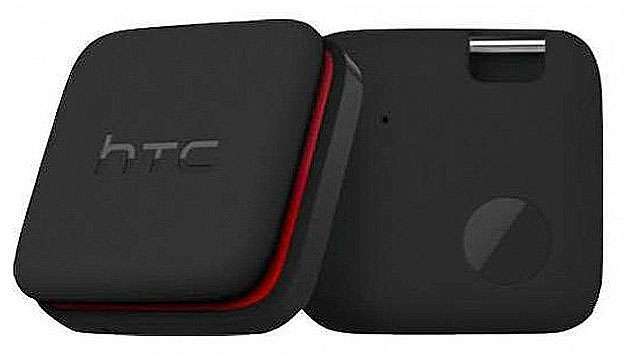 The HTC Fetch BL A100 Navigation Tag which is paired with your smartphone will get the co-ordinates of the bag and your mobile phone and as soon as the distance between the bag and you increases by more then a set distance, your mobile will start giving your audio notifications. In worst case scenarios, if you lose your valuable item, it will give you exact location of the last place where it was. Nice isnt it. The HTC Fetch BL A100 Navigation Tag comes with a dedicated App and you can pair up to 3 HTC Fetch Tags in one phone. The HTC Fetcht Navigation Tag works other way around as well. You can locate your smart phone from HTC Fetch. Additionally you can also remotely make it take a snap by triggering camera shutter. The captured image will be uploaded online and you can figure out the location/person from the image. If you are interested please visit the Clove's online store here. Remember as with HTC Mini+, the HTC Fetch Navigation Tag also comes with the same disclaimer, Clove can't guarantee the price or the delivery schedule. n what happens when phone will stolen with bag? is there any app for this? Just kidding i liked yr post n m thinking 4 it.